See more objects with the tag landscape, leisure, opera, cut out, amusement. This is a Peep-show. It is dated 1730–50 and we acquired it in 1937. Its medium is engraving, brush and watercolor on white paper. It is a part of the Drawings, Prints, and Graphic Design department. 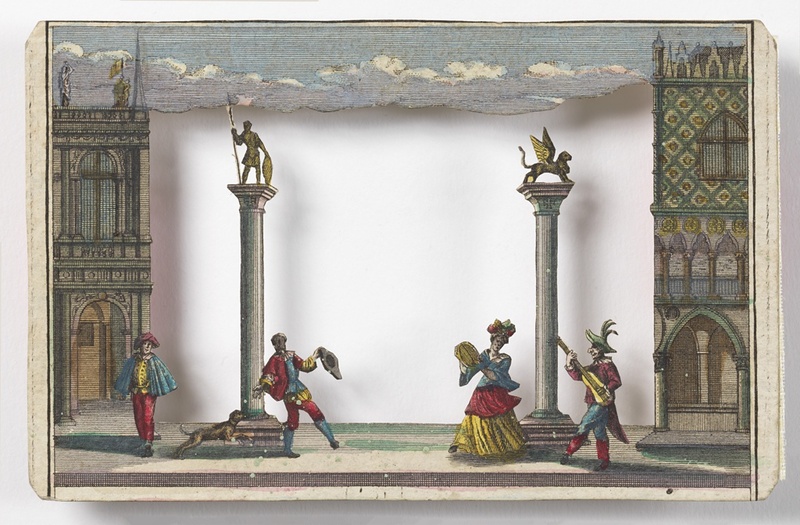 Eighteenth-century audiences were delighted by objects that combined art and optical illusion. This peepshow is one of many designed by Martin Engelbrecht that layers several cut-out prints to create a greater sense of perspective. Scenic theater and opera designs were popular peepshow subjects, and this imagined vista borrows from contemporary principles of stage design. Since most peepshow operators concealed their optical mechanisms in large boxes, passersby were also attracted to the mysteries of how the effects were produced. 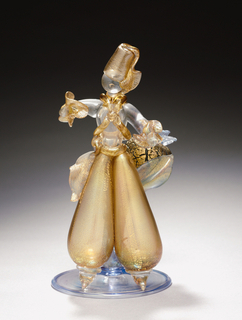 This object was catalogued by Karin Zonis and Julie Pastor. It is credited Gift of Mrs. James Ward Thorne.